The Smart Glove with Thumb Support features a comfortable thumb extension. 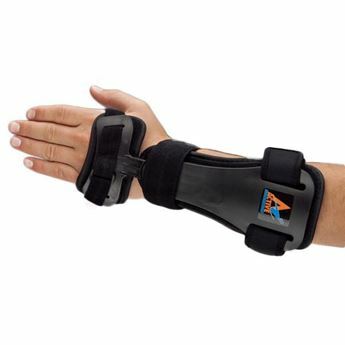 Two semi-rigid stays are located on both sides of the thumb to provide maximum support while allowing the hand and thumb freedom of movement to continue working. 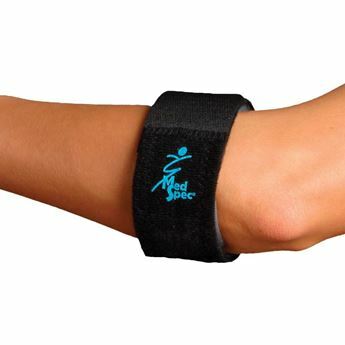 Flexible, removable dorsal stay helps keep the wrist in a neutral position, preventing excessive bending and flexing of the wrist but allowing full mobility of the hand. Durable, soft cotton Lycra construction ensures cool comfort throughout the day. Designed specifically for keyboard, laptop and mouse use to protect the wrist from repetitive stress injury and to ease pain caused by de Quervain's, Carpal Tunnel, arthritis and tendinitis. Sold individually, measure width at distal palmar crease for sizing. Latex free.